Memorial Day Weekend signals the beginning of summer in Tahoe and Truckee. Bright, sunny days and fresh, mountain air beckon all to enjoy all that mountain life has to offer. 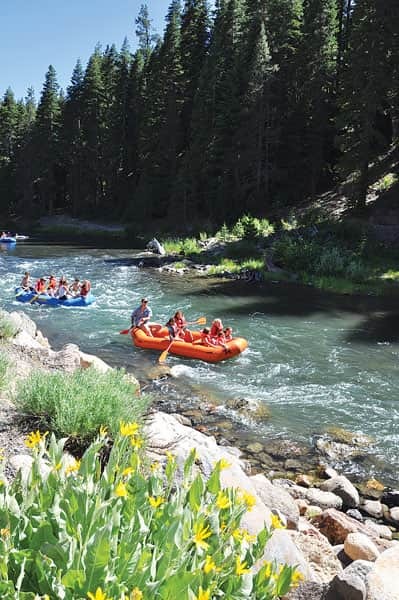 Kick off summer with the Tahoe Weekly’s bucket list of must-do summer activities. Tahoe Weekly challenges readers to complete each of these before the leaves start to turn for fall. Just remember this list barely scratches the surface of summer fun. 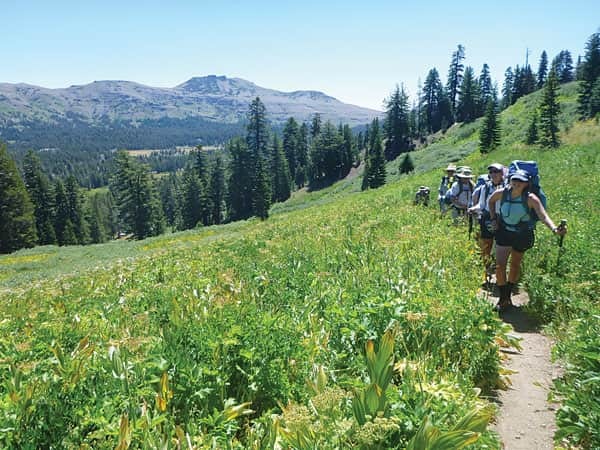 There are hundreds of trails throughout the Tahoe Basin and Truckee area from Donner Summit to the Carson Range. Local visitors’ centers offer information on hikes, or pick up one of the dozens of hiking books at a local bookstore. Please, wear good shoes, be prepared with food, water, sunscreen and layers (the weather is unpredictable in the Sierra). And, for goodness sake, stay on the trail. It protects our fragile ecosystem from erosion and keeps you safe. There’s something about sitting around a campfire, roasting s’mores and spending hours with friends and family that’s filled with magic. There are scores of area campgrounds (they fill up fast), wilderness camping in some back-country areas or try boat camping at Emerald Bay. Pack a picnic and grab the family for a day at the beach. From the bustling scene at Kings Beach to a movie under the stars at Commons Beach, a day at the beach is always a good day. The stretch of Highway 89 between Tahoe City and Truckee has one of the most peaceful and beautiful bike rides in the region. The paved path runs to Olympic Valley, where you can continue on Squaw Valley Road and ride through the valley. Or, you can follow the bike lane to Truckee. The legendary rocking stone, one of only 25 known rocking stones in the world, sits above downtown Truckee on Keiser Avenue. Through it no longer rocks (it was cemented in place), the site has great views of downtown and the Truckee River. The Truckee River Regional Park is one of the area’s gems. The park offers hiking and biking trails, a skate park, rodeo arena, picnic areas, disc golf and free concerts every Wednesday from June to August. Rock climbers love Tahoe. Whether they’re climbing a rock face or heading to a boulder field, opportunities for climbers are everywhere. Sounds fun, but looks too technical to try on your own? Don’t worry. Many local guide services are ready to take you out and show you the ropes. Tahoe is home to many disc golf courses, whether it’s meandering along the river at Truckee River Regional Park or experiencing a high altitude game at Kirkwood, there’s plenty of opportunity to get out and enjoy the fresh air. Feeling competitive? 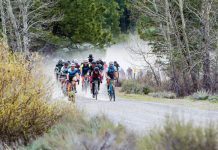 Join the Sierra Tahoe Series and test your skills at one of several summer tournaments. Enjoy gourmet meals cooked with locally sourced ingredients during one of several Farm to Table events throughout the summer. Check our Events calendar in every issue for details. The mountain bike parks at Northstar and Kirkwood offers some of the only lift-accessed mountain biking in the area. Riders of all abilities will enjoy the opportunity to explore trails ranging from mellow cross country to adrenaline pumping downhill. First-time mountain biking? Sign up for a beginner mountain biking clinic and hit the trails. There are a lot of peaks in the Sierra Nevada and Carson Range to explore this summer. A local favorite is Mount Tallac, standing tall at 9,735 feet offering panoramic views of Lake Tahoe, Fallen Leaf Lake and Desolation Wilderness. At just more than 5 miles, this hike is an all-day adventure. Be prepared with plenty of food and water, as well as sturdy shoes. The last section of the hike is in direct sunlight, but the views at the summit make the effort worth it. No visit to the area is complete without heading to Emerald Bay. You can drive by and marvel at this wonder from vista points, hike down to the beach or take your boat for a slow drive around the bay. This is possibly the most well-known hike in the area. The trailhead is at Emerald Bay off Highway 89 with magnificent falls only a 5-minute walk away. Don’t stop there, however. Make the 1-mile trek to Eagle Lake for a great picnic spot. Everyone knows about this great spot, so visit early in the morning during midweek. This volcanic plug towers above Lake Tahoe along the West Shore. Park along Highway 89 for a short hike up Eagle Rock for panoramic views of the Lake. One of the most popular, and well known, mountain bike trails is the Flume Trail. Pick up the trail at Spooner Lake State Park. 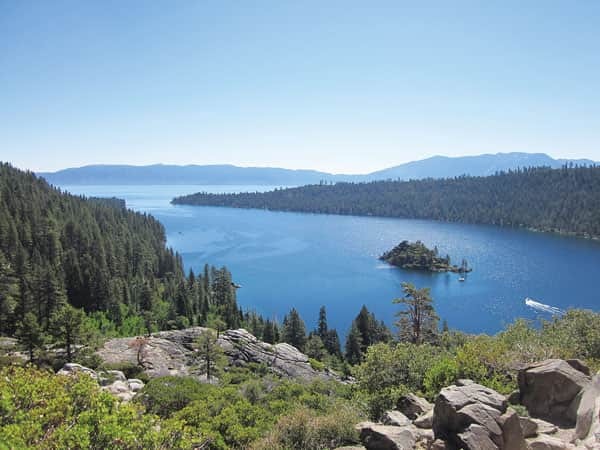 For a tamer ride, enjoy the trek to Marlette Lake. There’s even a shuttle to get you back to your car. Soar Truckee offers breathtaking gliders rides over Lake Tahoe and Truckee. They can make the ride mild or wild (hold on to your stomach). Heavenly Mountain Resort offers two adrenaline-fueled zip line adventures. Enjoy sprawling views of Lake Tahoe while descending more than 1,000 feet in elevation at speeds up to 50 mph. Ropes courses, a climbing wall, hiking and a scenic ride in the gondola round out the many ways to enjoy the view. On the North Shore, soar among the treetops with North Tahoe Adventures with locations in Tahoe City and Olympic Valley. Fannette Island in Emerald Bay is the only island in Lake Tahoe and features the remnants of a stone tea house. Visitors may reach the island by boat or kayak only, and hike to the top (closed until June 15 for nesting birds). Area lakes offer beautiful shoreline scenery you might miss in a speeding boat. So, bring a kayak or standup paddleboard, or rent one, and head out on the lake. Morning is the best time on Lake Tahoe with little wind. Check local rental shops for equipment and a lesson. Water toys are a great way to enjoy the water. Rent a personal watercraft or enjoy an Aqua Trike (think a bike for the water). Boating on the Lake is a summer must, but if you don’t have a boat or any boat skills, don’t worry. There are many wonderful tours offered from wooden boat tours of the East Shore to cruises on the West Shore and Emerald Bay to sailing charters. Parasail over Lake Tahoe from one of the many companies around the Lake. 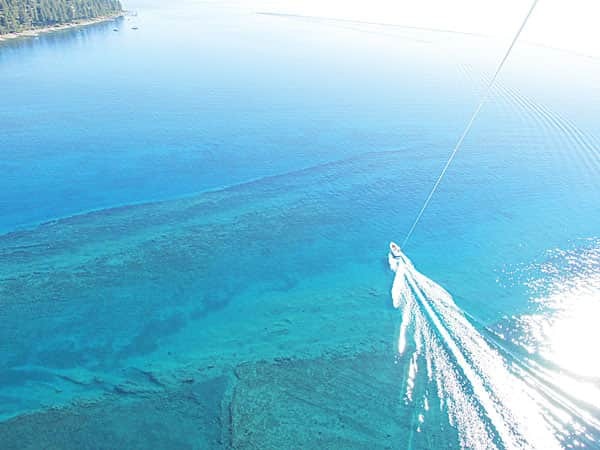 Ride the boat out on the Lake, then glide off the back on a parasail. Don’t forget to take a friend, or two, or three. 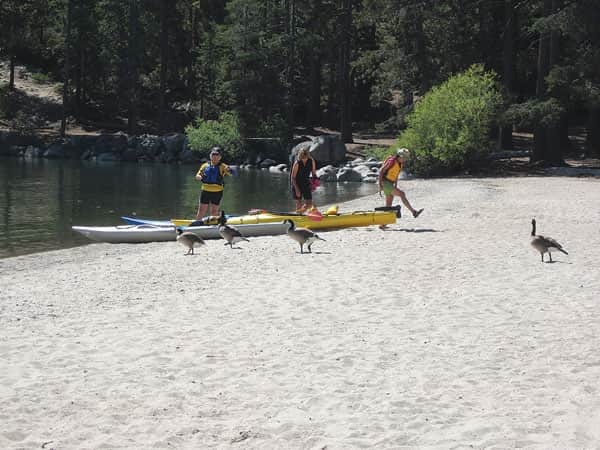 Access the beach next to the Donner Memorial State Park, or launch your boat or kayak and enjoy the day relaxing at one of the 37 public piers around the lake. Shopping can be considered a sport with stores catering to every fancy. Driving along Highway 28 on Lake Tahoe’s North Shore, keep your eye out for the many shops spread along the communities of the North Shore including Tahoe City, Tahoe Vista, Kings Beach, Crystal Bay and Incline Village. Leisurely stroll through the unique shops in Truckee. The South Shore offers high-end goods in the Village at Heavenly and eclectic boutiques are found in many hidden corners of South Lake Tahoe. Tahoe shares its shores with California and Nevada, with lots of gaming options on the Nevada side. Crystal Bay is home to the Tahoe Biltmore, Crystal Bay Casino, Cal Neva (closed for renovations) and Jim Kelly’s Nugget. In Incline Village, head to the Hyatt Regency Lake Tahoe. Stateline Nevada keeps the nightlife alive with late-night shows and gaming at the Hard Rock Hotel & Casino, Harrah’s and MontBleu. Enjoy the Summer Outdoor concert series at Harvey’s Hotel & Casino. 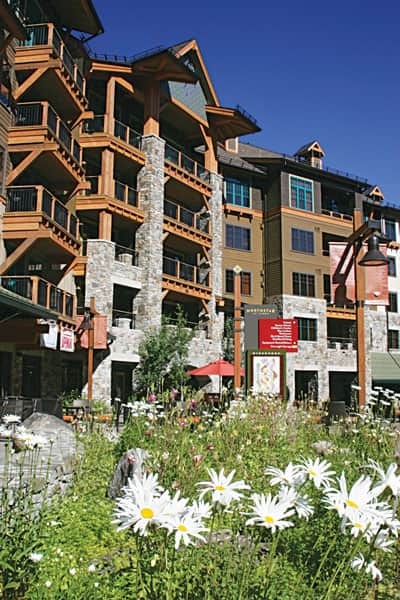 The Village at Squaw Valley is filled with specialty shops, restaurants and much more. There’s a mini-golf course through the Village, rock climbing wall, bungee trampoline, free movies in the summer, and loads of events and festivals. Shopping, dining, fine art, roller skating, a ropes course and bungee trampoline are among the attractions at the Village at Northstar. Enjoy Star Tours, the Wine Walks and many special events throughout the summer. Check out the local hotspots for a night of music. Whether it’s a bluegrass jam at Moe’s Original Bar B Que in Tahoe City or a night of rocking out at Moody’s Bistro Bar & Beats in Truckee, the options are endless. Looking to dance until dawn? The Crystal Bay Casino hosts late-night after parties most weekends and the party goes all night in South Lake at MontBleu’s Opal Ultra Lounge. 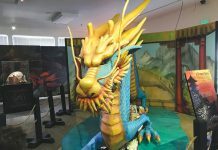 North Tahoe Arts Center in Tahoe City is the North Shore’s only public art center featuring rotating exhibits by local artists. Local artists invite the public into their studios during the Truckee Open Art Studios tour and the Tahoe Art League’s Artist Studio Tour, both in July. The Art League also maintains a public art center in South Lake Tahoe featuring local artists. Musicians from around the world converge to perform with Lake Tahoe as their backdrop from BassCamp Festival, the Lake Tahoe Bluegrass Festival, the High Sierra Music Festivals and Guitarfish, to name a few. 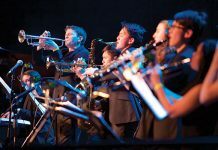 Look for Tahoe Weekly’s Tahoe Music & Festivals guide for the summer in June. 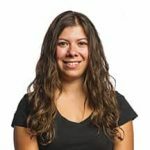 The Lake Tahoe Dance Collective hosts the annual Dance Festival bringing some of the world’s most talented dancers to an open-air stage at Tahoe City’s Gatekeeper’s Museum in July. Head to Sand Harbor State Park for the annual Lake Tahoe Shakespeare Festival. Enjoy the sunset over the lake and a picnic dinner while taking in one of the Bard’s tales. 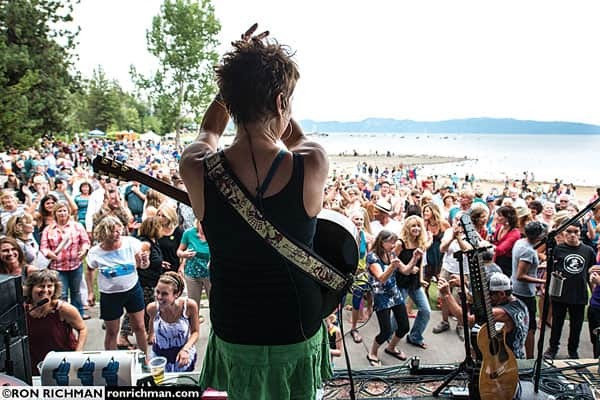 Each summer brings the opportunity to enjoy live music almost every night Tahoe and Truckee. From soulful blues at Squaw Valley to rocking out on the beach at Kings Beach, Commons Beach or Lakeview Commons, a summer season full of free live music brings talented music to the area. The Improv at Harvey’s hosts some of the best comedians in the trade Wednesday through Sunday each week with emcee Howie Naves, while Tahoe Comedy North hosts shows in Reno and Tahoe. Dixie Swing to Gospel, from dark dramatic comedy to vaudeville, from Celtic to Bluegrass, from country to jazz, the Valhalla Art, Music & Theatre Festival features a summer-long series of entertainment. Ditch the car; you’ll never see all of the sights that way. There’s an extensive network of bus and trolley routes that encircle the Lake and go to all of the hot spots around Truckee and Tahoe. 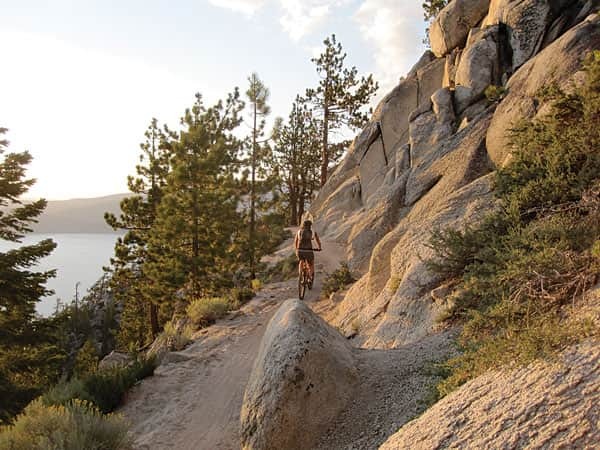 Truckee-Tahoe is bike friendly with miles and miles of paved bike paths around the Lake, and even more bike lanes encircling Lake Tahoe, Truckee, Donner Lake and many other areas. The area surrounding the Truckee Depot is a bustling shopping district with Commercial Row across from the Depot and Brickelltown a few blocks to the west. Historic homes and buildings date back to 1868. Unique shops and superb restaurants are now the main attraction. Pick up a map for a self-guided walking tour at the Depot. Also, enjoy the Truckee Railroad Museum located in a caboose next to the Depot. The ill-fated Donner Party suffered through the harsh winter of 1846-47 camped around Donner Lake and Truckee. The Donner Memorial State Park features exhibits and artifacts on the Donner Party at the Emigrant Trail Museum and the towering Pioneer Monument, built to commemorate those who came to California in the mid-1800s. 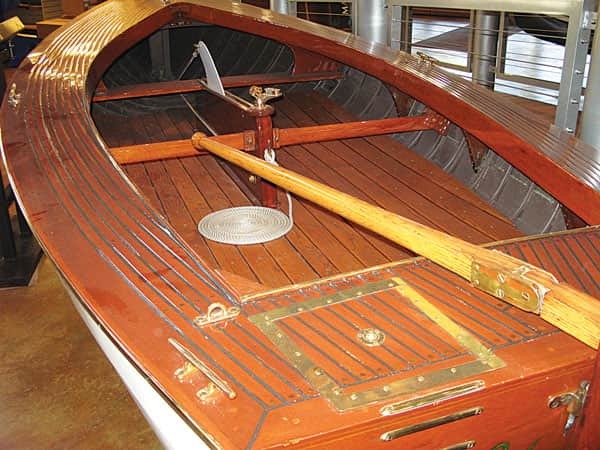 The Tahoe Maritime Museum recently relocated to a larger facility in Tahoe City. The museum features an unmatched collection of wooden boats, historic photos and artifacts, interactive exhibits and much more. Donner Summit is rich with historical sites. Visit the Donner Summit Historical Society for a guide to the 20-mile Museum. This driving tour explores Donner Summit via Old Highway 40. Once known as the “Grandest Resort in the World” as the summer retreat for three San Francisco elite families with the Baldwin Estate, Pope Estate & Valhalla. Today features historic home tours, Baldwin museum, guided walks and summer programs in South Lake. 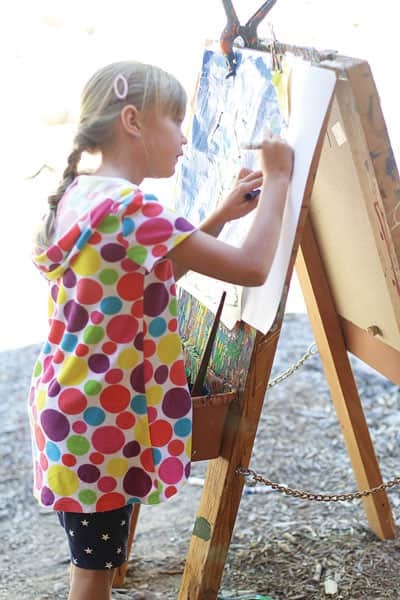 The KidZone Museum in Truckee offers educational exhibits, indoor and outdoor playground structures and an art studio designed to inspire creative skills development. Join one of several weekly programs or enroll in a summer camp. 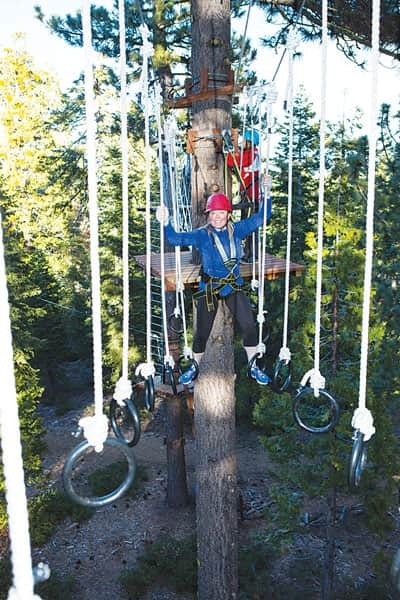 Tahoe Treetop Adventures offers ropes course adventures at two locations in North Tahoe. Kids may spend hours exploring courses of varying levels at Granlibakken Resort or at Olympic Valley. On the south end of the Lake, head to the top of Heavenly for family fun adventure on the zip lines. Located at the base of Boreal Mountain Resort on Donner Summit, Woodward is a large indoor facility housing trampolines, a floor exercise area, concrete skate park and a wood pump track with ramps and jumps designed for skiers, snowboarders and bikers to fly into foam pits. It is designed to be both a training center for athletes, and a place for first timers to have some fun jumping and flying indoors.